An exciting trilogy begins! 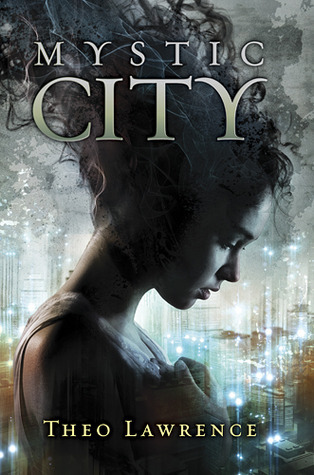 Mystic City—full of forbidden passion, deep betrayals and dazzling bursts of magic. In this Manhattan, also known as Mystic City, the rich and powerful live in skyscrapers called the Aeries. The poor live far below, in the the squalor of the Depths, alongside magic-wielding mystics who provide the energy that keeps the city pulsing. High in the Aeries, Aria Rose in madly in love with Thomas Foster. Or so she's been told. Aria wakes one day with huge gaps in her memory. She doesn't remember carrying on a secret romance with Thomas, the son of her father's sworn enemy, much less falling in love with him. And how she and Thomas are engaged, pledged to a union that promises to end the bitter political rivalry between their families once and for all. Then Aria meets Hunter, a gorgeous rebel mystic who holds the key to her past. But as she begins to unlock the dark secrets behind her memory loss, she risks losing her one true love forever. Ohlala! If you're looking for a boring, uninventive, run-of-the-mill read, skip this book. But if you want to read something really good, check out Mystic City! This book has it all, Mafia Princesses, Turf Wars, Post-Apocalyptic society, secret powers, political intrigue, romance... Sigh. I read this fast, I read it furiously. I couldn't put the blasted book down. Loved it! Loved it! Loved it! It's a futuristic, amnesia-ridden, epic-battle of good and evil, evil henchmen, hot motorcycles, mafia wars! A paranormal book of excitement! Aria and Hunter are fantastic characters with depth and believability. If you like Cassandra Clare's work, you'll love this!